Which is the Most Secure Browser for 2019 – Chrome, Firefox, IE, Edge, Safari? As a SensorsTechForum yearly tradition, our team provides you with an extensive research to aid you, our readers with finding the most secure browser. Browser security depends on many factors. The browser alone is not enough to make your online experience safe. 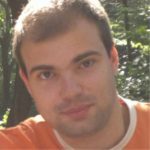 Your use of the specific software for online surfing and its exploitation by cybercriminals also add up to the application’s level of security. The article you are reading right now will acquaint you with several browsers and their advantages in terms of security, in order to help you choose the best browser for your needs. 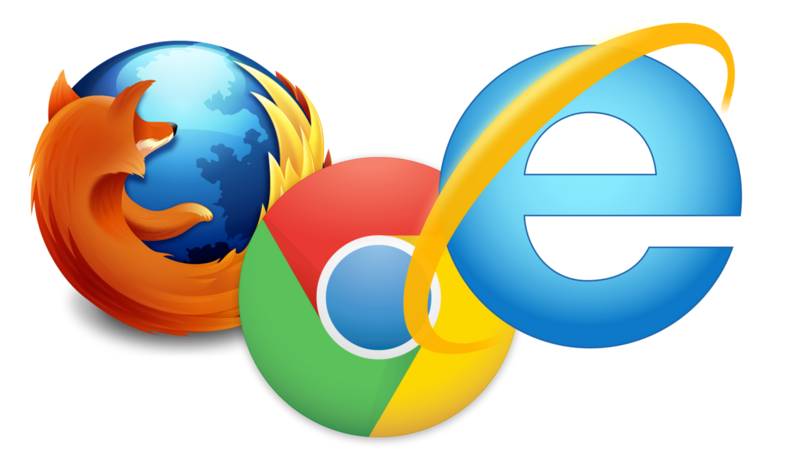 Which is the most secure browser for 2014? 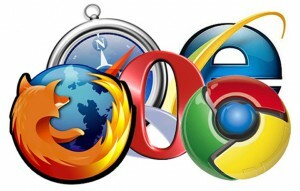 Each of the three main browsers has its uniqueness and special appeal. Let's see which one is best. Let's see which is the most secure browser for 2017 based on criteria such as market share, updates, security, privacy, and available add-ons. Google Chrome does not disappoint as it continues to grow in every aspect. The World leader of all browsers has a nearly 7 per cent increase taking up to 67.18% of the Global market share. Google as a company keeps thriving continues to up their browsing game as it is evident from their increased user base. Their annual bug bounty program ticks all checks on security every year as hackers scrutinize the Chromium code in hopes of finding a bug and getting a reward for it. Updates for Google Chrome are still sent every fifteen days, but there are even other hotfixes for all platform types, which are more frequent. 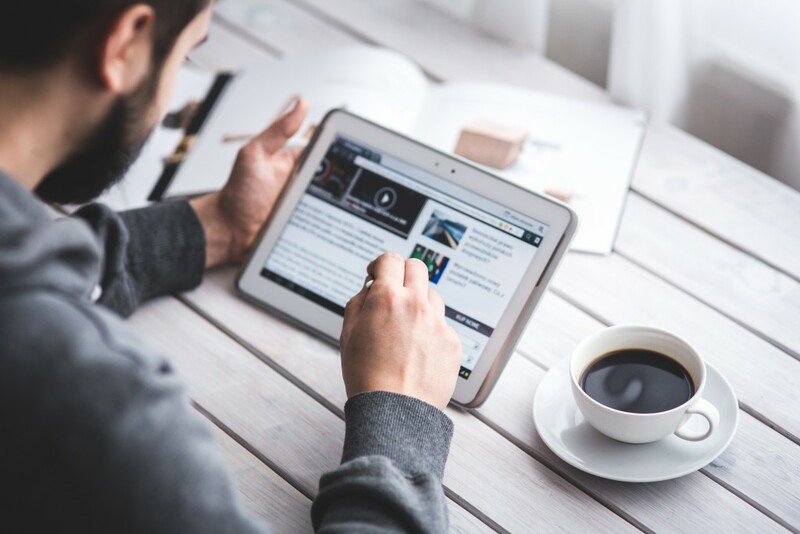 With auto-updates, users do not even have to worry as they are applied after the automatic download, making the browser up-to-date at all times. Google services now provide a sufficient buffer in terms of decrypting big files that are over 4 GB. In that way the data can be decrypted inside the browser itself, instead of using a download client. Thus, you simply cannot get tricked that you need a program or some kind of launcher for direct downloads – if you are prompted for such, then you are being lied to. Google also has a sandboxing function and other defense mechanism to disallow malicious scripts from being executed. Additionally, their machine learning algorithm detects e-mail with malicious attachments and words with malicious intent. If the text of an e-mail contains words that imply blackmail or such, said e-mail cannot be sent. In addition you can put various add-ons such as ad-blockers, anti-malware scanners for files and Web pages as well as other security extensions. The Flash plugin also now has to be allowed permission to launch on every page that runs it, on each restart of the browser, which limits Adobe’s Flash further. Tweaking of your privacy settings and the large variety of add-ons available at the Chrome Web Store, is more reliable than ever, since Google Chrome eradicates all bad extensions from its Store, be it a malicious piece of code or a PUP that is annoying users and has no real value to them. You will also be warned if you are visiting a malicious browser page or if something is run from a page without a certificate or your permission. Threats are detected within days, so malicious Web pages will be blocked quickly. You cannot go wrong with running Google Chrome. Mozilla Firefox holds second place, and its market share is seeing an increase. With 9.58% of shares, more users are trusting Firefox for their daily browsing needs. The Private browsing mode of Mozilla Firefox includes tracking protection. No cookies or Web beacons are used in that mode. You can install different add-ons on the browser as it doesn’t have in-built ones and further tweak it by changing parameters in the about:config section. The Quantum project of Firefox keeps on going at full-speed. Firefox Quantum’s browser engine is a lot smoother now, with less bugs and crashes. Vulnerabilities are fixed fast. The latest version – 64.0.2 of the browser fixes stability issues and supports all the security add-ons one would usually need. Almost every security add-on is converted to Firefox Quantum from the legacy ones, plus new security extensions are added, including better-working ad-blockers with more features to be customized. The update frequency is stated on the official blog of the browser application. New versions are coming out as frequently as in the past and most updates are released every 15 to 28 days with the rare exception mid-summer. Hot fixes for more important features pop up even sooner and can happen on the same day of a general update. Phishing websites, misleading pages and forgery are becoming more widespread. Firefox has an in-built protocol which does automatic checks on such threats and has got you covered. Test versions continue to come out on a daily basis with the Developer and Nightly versions of the browser. The official support for Internet Explorer’s older versions has been cut off since three years ago, leaving the current 11th version of the browser, the only one that keeps receiving security updates. The support will continue only in the form of security updates and those will be available until the end of the corresponding operating systems’ lifecycles. The result is that less and less people are using Internet Explorer with the majority of Windows 10 users leaving it for Edge. With a global market share of 8.31% Internet Explorer still shows that quite many people are still surfing the Web with it. The update schedule of Internet Explorer remains the same as last year – a new update is to be released on a 30 days interval. The updates are not many and even advertise Windows 10 and Microsoft Edge. You can add extensions to Internet Explorer, such as ones that blacklist sites known to be malicious and increase the browser’s security with more add-ons. Microsoft Edge holds the fourth place in terms of market shares worldwide and in our article. Microsoft keeps claiming that Edge is faster and more secure than its predecessor Internet Explorer. The international market share for Microsoft Edge reveals that there is a decrease since one year ago and now points to 4.09%. Not surprising, since a lot of users were dissatisfied with the browser – constant freezes and blank screens are observed when using it. Even so, Microsoft keeps updating Edge more frequently than Internet Explorer. As a result, the Edge browser is updated every 10 to 15 days. Various ad-blockers can be added to the browser. InPrivate browsing mode works as intended and no information is stored anywhere, when it is being used. The preferred browser for a lot of Mac users, Safari, holds 3.71% of the World’s market shares this year, which is seeing a drop since last year. The Safari browser is discontinued for Windows, plus most people use other browsers, the low percentage is somewhat expected. Safari’s standard update time period is usually around 54 days. That may stem from the fact that far less vulnerabilities are found in this browser compared to other big ones. As a company, Apple Inc. has always been strongly for privacy and security. Having extensions such as DuckDuckGo and 1Password as option to add to the browser comes in handy. Safari continues to maintain a private browsing mode, sandboxing and protection from harmful sites, as well as the feature for blocking third-party cookies and beacons. With a 1.68% international market share, Opera is showing a steady increase since last year. That increase might be from the fact that Avira Scout stopped updating and sent out a message recommending its users to install Opera with Avira Browser Safety. The user-base might still be small in comparison to the previously mentioned browsers, but its security can be tweaked further than the Avira Safety addition. Opera has made its inherent VPN feature integrated better and it is easier to use than ever before. This free and cleverly in-built VPN service works just as great as any paid VPN, although it is uncertain what kind of data is collected through it. The extensions gallery is filled with new extensions, while offering HTTPS Everywhere, Disconnect and a big list of AdBlockers. The updates’ frequency is continues to be the same as before – on every 48 days a new update is being released. Despite Opera is based on Chromium, it does feature more security extensions, which are built within its code. Frequent updates are not needed as Opera is not as widely targeted as Chrome. Regardless, Opera gives its users protection from fraudsters and various malware, blocks scripts or plug-ins with malicious content, and recognizes them even when they are running on a “trusted” website. Opera has sold its services back in 2016 to a Chinese consortium of investors, including Qihoo 360 – an internet security company known for its antivirus application. With this fact in mind, we see that the browser is improving and keeps reeling more people in. Opera has the tools to make your browsing experience safe with the availability to customize it to meet your security needs. Its team of security software experts who have been in the sphere for 14 years further aid in keeping Opera one of the preferred browsers. The remaining browsers used worldwide hold less than 2.06% of the global market shares. The following browsers are honorable mentions, which still deserve an honorary place in the article. Epic Privacy Browser or “Epic” for short is a browser focused almost its entirety on privacy. As the Epic browser is based on the Chromium project and is using its code, you can rest assured that its updates will get delivered adequately as the Google Chrome browser. The main goal for the Epic Privacy Browser is to keep extensions to a bare minimum, because most of them usually have tracking capabilities enabled. Epic Privacy Browser, with its innate blocking features, states that even your government cannot track you and no advertisements will be displayed when browsing no matter on which website you browse. These features include the total removal of the DNS and Web caches, blocking URL check and URL tracking, disabling of error reports and the RLZ-Tracking number. Auto-fill options or term suggestions are also out of the question and switched off. And on top of it all, with the Epic Privacy Browser, you will get to use its encrypted proxy. That proxy will provide you with real online anonymity, while the function being available with a simple click of a button. Maxthon 5 is still the newest version of the browser but it has brought a lot of stability improvements over the past year, fixing everything from big to small technical issues. The newest version provides an even faster browsing experience, quicker load times and less crashing. Maxthon’s market share is standing at 0.25% globally and has surpassed that of Baidu and Vivaldi yet another year. Maxthon’s update frequency varies from 3 to 15 days which is more than enough to keep it secure. The browser has been built with rendering engines WebKit and Trident allowing it to open both types of Web pages, while most browsers can read only one of these engine types using HTML5. Maxthon also supports HTML5 and runs it instead of Adobe Flash. Maxthon has its own page for installing extensions and still arrives with the AdBlockPlus, ad-blocker application added as an in-built feature. AdBlockPlus developers have officially announced that this will be a long-term commitment and partnership since last year. To add to the security control of the Maxthon cloud browser, its cookies and history are both locally stored on each device, so you can always wipe clean all related data with an ease. The Brave browser is a new addition to this year’s list of most secure browsers. Its 15-day schedule, since its code is based on the Chromium project. Extensions, tools and plugins available to Chrome can also be applied here. The inherent ad-blocking feature works wonders and it is highly customizable. Brave also blocks some suspicious and malicious Web pages and supports HTTPS Everywhere. A huge selection of other, different ad-blockers is made available as extensions. However, they are not needed, as the one that comes with the browser is really efficient. The Brave browser seems like a promising browser in terms of security. However, it is still regarded as new as it has version 0.58 available and not have reached even version 1.0 yet. All of the developers of the aforementioned browser applications keep striving to make their browser as more updated and secure as possible, while putting in new features and ideas behind that goal. Google has once again introduced many more changes, fixes and tweaks, in terms of updates and security, and deservingly has a bigger fan-base. However, let us not forget that vulnerabilities and exploits keep hitting all of these browsers no matter what they implement in terms of security. A crucial thing to point out here is that not every browser will update itself automatically, and that you should always keep the browser applications that you are using up to date. You can do a check-up from the UpdateMyBrowser.org page. As a conclusion, we at SensorsTechForum cannot exactly determine which of these browsers is the most secure for 2019, neither which one would serve your specific, individual needs. However, you choosing any of the above browsers and trying it out is the best bet of finding that out for yourself. Hey !, I found this information for you: "Which is the Most Secure Browser for 2019 – Chrome, Firefox, IE, Edge, Safari?". Here is the website link: https://sensorstechforum.com/the-most-secure-browser-2019-firefox-chrome-internet-explorer-safari/. Thank you.